Are you afraid to fully smile because your teeth are dull or discolored? Crestridge Dental of Burnsville, MN can help! We provide teeth whitening services to help make those teeth of yours pearly white again. 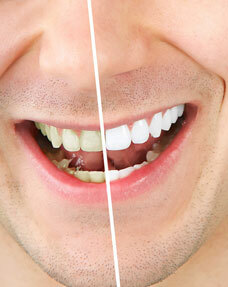 We offer bleaching and whitening services. Bleaching requires applying actual bleach made of hydrogen peroxide or a similar material to the tooth. Whitening is a procedure that removes the debris and dirt from each tooth. Whitening and bleaching are the most popular cosmetic dentistry treatments for both men and women across the country. For more information on teeth whitening, please visit: http://www.mouthhealthy.org/en/az-topics/w/whitening.